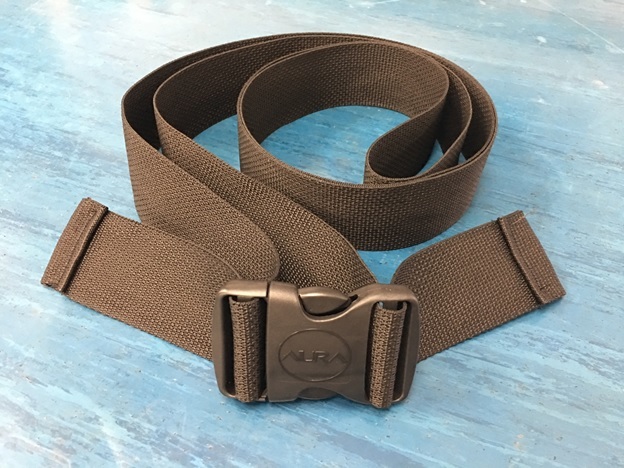 This is the same as the restraint strap EXCEPT this buckle adjusts from both sides like the permanent seat belts, allowing it to stay centered if the strap is used as a seat belt on equipment. This can be a much better choice than the traditional seat belt if you need to remove it after each use. Eight foot strap made of 2" webbing; plastic buckle adjusts from both sides to stay centered on the individual.